1. What does it mean when you say Validation is complete? It means that we have either received an “Uncle Letter” from or sent out a “Notice of Failure to Respond” or “Defective Response” to a collection agency. Many times an alleged debt will be sold after we reach “Validation Complete” status with one collection agency, so please be on the look-out for collection letters. Most importantly, “Validation Process Complete” means that this debt is no longer holding us back from moving onto the Credit Restoration stage of our program. Once all enrolled accounts reach “Validation Status Complete” we can begin Step 3 of our program. 2. What happens to the debt if I pass away? Will my child be responsible? We are not lawyers and cannot offer you legal advice. In my experience, your estate may be held responsible for your debts. If you pass away while enrolled in our program, your child will be able to take over your account with us. Our program may release your estate of liability for your alleged debts. 3. I had a payment debited from my account which made my account go negative because I must have had the dates confused; can I have my money back and change the date? If the payment successfully posted, we cannot refund the payment to you. But, we can move your payment dates moving forward. 4. How are you helping me if my accounts are all going into collections? We are helping you prove that the alleged debts that you have enrolled into our program are valid debts that can be legally collected. Many times, creditors and third party collection agencies are not able to prove that the accounts they’re attempting to collect on are valid – if they are unable to prove that they have the right to collect on a debt they are legally no longer able to attempt collection. 5. What are you doing while I am waiting on my debts to go into collections? Once you enroll into our program we review your credit report for any negative information that’s been reported in error. Once we identify this information, we assist you in preparing letters to the three credit bureaus disputing the negative information. So, while you’re waiting for your accounts to be turned over to a collection agency, we are already working on repairing your credit. 6. What am I paying you for if you aren’t paying off my creditors? You are paying for the credit repair and debt substantiation services that we offer. While enrolled in our program you also have access to educational tools and resources through Financial Strength Builder, as well as legal services should any of your enrolled accounts receive a summons. 7. How does this program benefit me? This program not only educates you on your rights as a consumer, but through our documentation – allows you to ensure that no creditor or collection agency is violated those rights. If creditors or collection agencies are violating your consumer rights, we may be able to render the alleged debt uncollectable. Once we have completed this process with all your enrolled accounts, we will attempt to get the negative information reported by these accounts removed from your credit report. Now, if a debt is uncollectable and no longer reporting on your credit, do you have to pay it? 8. What happens if you can’t clear up (invalidate) my debt? We will refund you what you’ve paid in towards that specific account, this refund will either be applied to your program fees or credited back to your bank account that we have on file for you. A Law Firm will be able to assist you in settling that account. 9. What happens to my credit score during this process? Once you’ve made the decision to stop paying your creditors, your credit score will take a hit. Many times our clients see an increase in their credit score – due Step 1 of our program, the initial credit analysis and then once their creditor begin to report the late payments, their credit score goes down. Often, once we’ve completed step three of our program – our clients graduate with a better credit score than when they first enrolled. 10. What will my credit score be when this is over? There’s no guaranteed answer or number. 11. How long does the entire program take? There is no definite time frame. Typical time frames are 18-24 months, but this is not guaranteed. Our Document Preparation company is in San Diego, CA. However, there are many enrollment companies across the United States. Debt Advisors is located in the South West facility. 13. When something comes up on the initial credit analysis, how long does it take for that specific item to be removed from the credit report? It depends on the creditor. When a dispute is filed with the Credit Bureaus, they go to the agency that reported the information and ask that they prove the information was not reported in error. The agency has 30 days to get proof to the credit bureau – if sufficient proof is not provided, the negative information is deleted from your credit report. Sometimes the creditor is able to give sufficient proof so a 2nd dispute needs to be filed with the credit bureau. 14. How long does it take for the original creditors to sell the debt to a 3rd party? It varies by creditor & account. Typically, accounts are sold over between 3-9 months from the date of the first missed payment. 15. How long does the debt substantiation process take? There is no definite time frame. It depends on the number of accounts enrolled and the creditors response to our paperwork. As well as the length of time it takes for the account to be sold to a Third Party. 16. When will I begin the credit restoration? Once all your enrolled accounts have reached the “Validation Process Complete” stage with at least one third party collection agency. 17. How long does the final stage/credit restoration process take? It varies based on the amount of negative information that needs to be removed and the age of that information. Typically, any information that we are able to get removed will be removed within 6-9 months. 18. After all my payments are made to you, is the debt removed from my credit? Your fee schedule has no impact on the length of the program or how long we will provide you services. 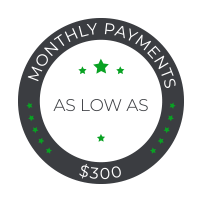 Some clients make a one-time upfront payment; some clients have fee schedules longer than yours – we break down our fees into monthly payments so that our program is affordable to you. 19. If I am paying you will the creditors want money also? 20. When do you contact the original creditors? We don’t. We wait for your alleged debts to be sold to a Third Party Collection Agency. 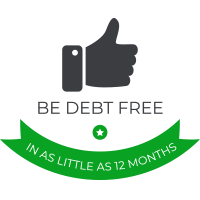 Unsecured debt is a non- negotiable, non-transferrable entity. The sale of an unsecured debt to a third party collection agency is the first violation of your consumer rights. 21. When do you start paying the original creditors? 22. Will I still owe the creditors once your program is over? 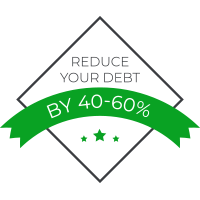 If a debt is uncollectable and no longer reporting on your credit, do you have to pay it? 23. What are the chances that I will receive a summons? Less than a 5% chance, should you receive a summons a Law Firm will be available to assist you in the event you receive a summons. 24. When the debt sells to the third party, will the original creditor stop calling me? Typically, yes. If you feel as though your rights are being violated by any creditor or third party collection agency, please call into our violations department – they will be able to assist you in determining if the creditor or third party is infringing on your rights as a consumer. 25. Is it possible for my other credit cards that are not enrolled to be cancelled or the credit limit reduced because I am enrolled into this program? It is possible, due to the changes in your credit score while enrolled in this program other creditors may decide to lower your limits or cancel your account with them. Once you have completed our program you may reapply for a higher limit. 26. Why am I receiving statements from the original creditor if I was told the debt validation is complete? That is the original creditor/third party collection agency responding to our paperwork in an attempt to validate the alleged debt. Please send us the cover letter and the first 5 pages of what you received. 27. The collection agency told me that one of my debts would not be allowed to be enrolled into the Our Document Solutions program, is that correct? No, they’re just saying whatever they think will make you pay them. The third party collection agency actually have less authority than then the original creditor. 28. I just spoke with the third party collection agency, they told me that Synchrony Bank can keep adding interest, is this true? Yes. Original creditors frequently add hundreds of dollars onto balances before they sell them off to a third party collection agency – in order to sell the account off for more than they would get if they just sold the balance at the time of non-payment. 29. I was told you have attorney’s that can help me if I get sued. How does that work? How much is the retainer? Should you receive a summons, we will pay the $750 retainer fee to a Law Firm and restructure your future payments with Our Document Solutions for the summonsed account, if you qualify? 30. What are the qualifications, if I receive a summons? You would need to be enrolled into the program for at least 90 days and the account that has been summonsed would need to have be at least $3,500 at the time of enrollment. 31. What is your refund policy? If an account is validated by the Third Party Collection Agency we will refund you what you’ve paid in towards that specific account, this refund will either be applied to your program fees or credited back to your bank account that we have on file for you. 32. Why don’t you enroll federal student loans? Because they’re secured by the government. Non-payment of federal student loans may result in wage garnishment or withholding your tax returns – our paperwork is not effective against government debts. 33. The co-borrower on some loans or debts I had passed away, do you need a death certificate? If it’s available, yes. If you don’t have access to a death certificate, we need a signed letter from you stating that they are deceased. 34. What accounts are being challenged during the credit analysis? Non-enrolled accounts. We wait until Step 3 to challenge the enrolled accounts, using our debt substantiation paperwork as proof to the credit bureaus that those alleged debts are invalid and therefore cannot be listed on your credit report. 35. My monthly payments are more than (percent the client was sold at) of my estimated debt enrolled with you, why? There is a $129 enrollment fee, and a $65 monthly maintenance fee, as well as a $12.50 transaction fee for each payment.